・Warm up milk and sugar together in a microwave for ten seconds and mix it with the squash powder little by little. Don’t put the milk in all at once or it will form clumps. 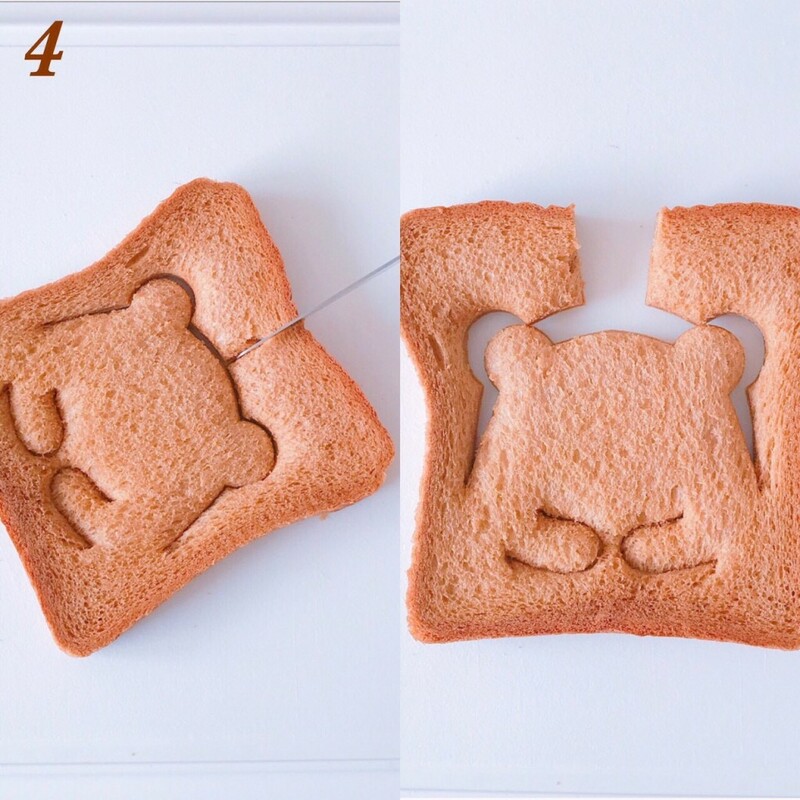 2: Place the cookie cutter on top of the slice of bread as shown in the picture and punch out the shape. 3: Punch out the three slices as shown in the picture. 4: Cut a line on top of the head using a knife. 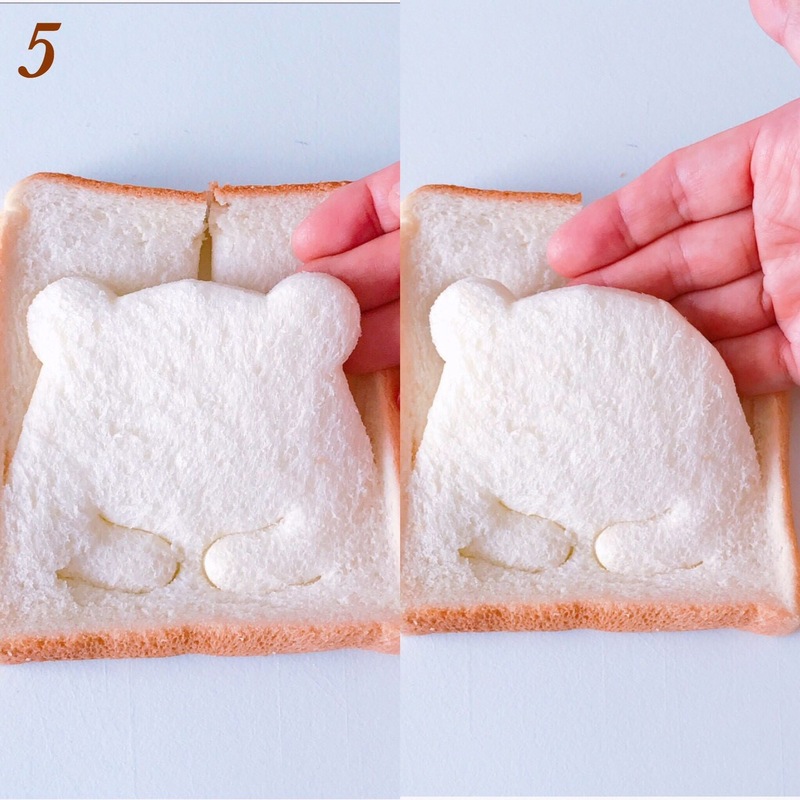 6: Apply the squash cream on top of the slice of bread which was cut out in step 5. 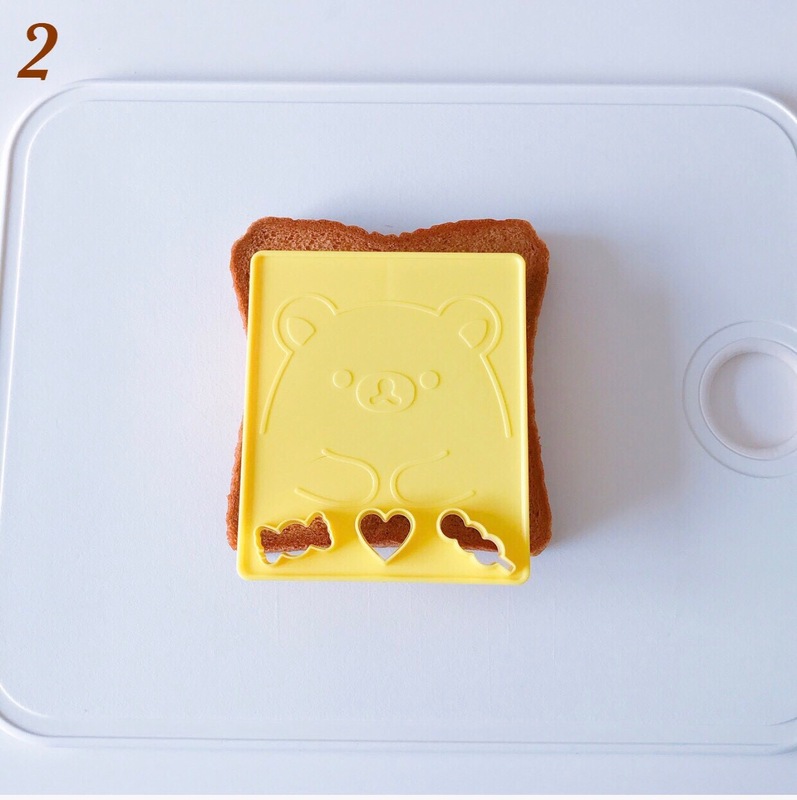 7: Using the round mouth section of the Rilakkuma cookie cutter which you used in steps 2 and 3, cut out shapes from the cheese. 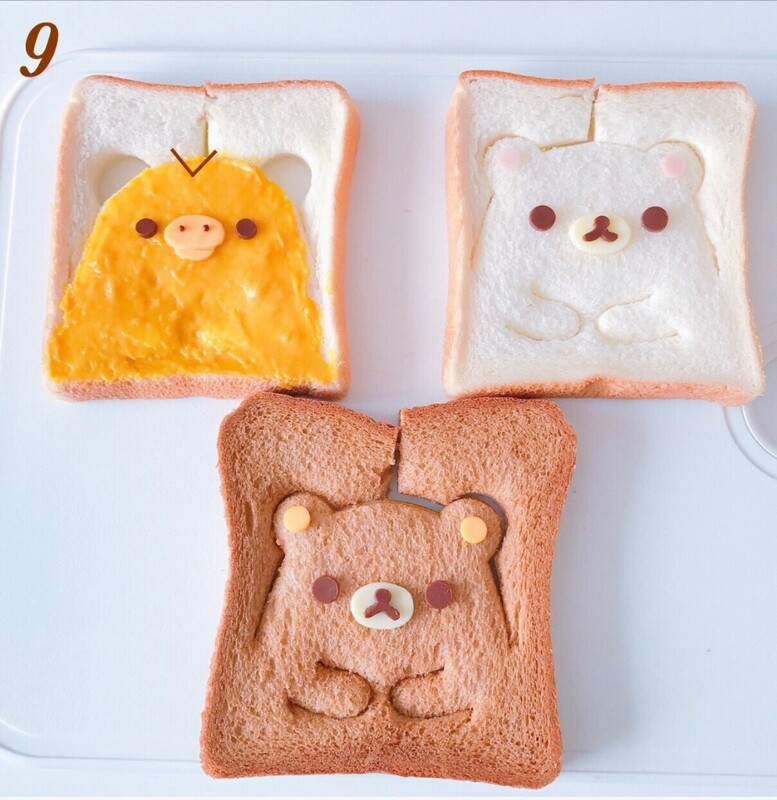 8: Cut out shapes from the slice of cheddar cheese to make shapes to put inside Rilakkuma’s ears and to make Kiiroi tori’s mouth. 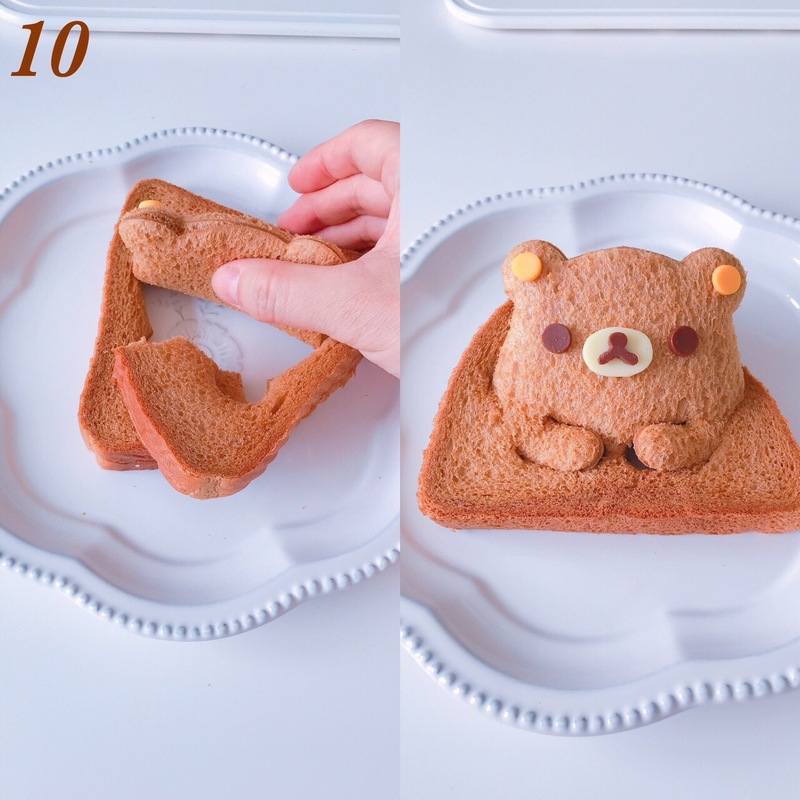 Cut out shapes to put inside Korilakkuma’s ears from the slice of ham. 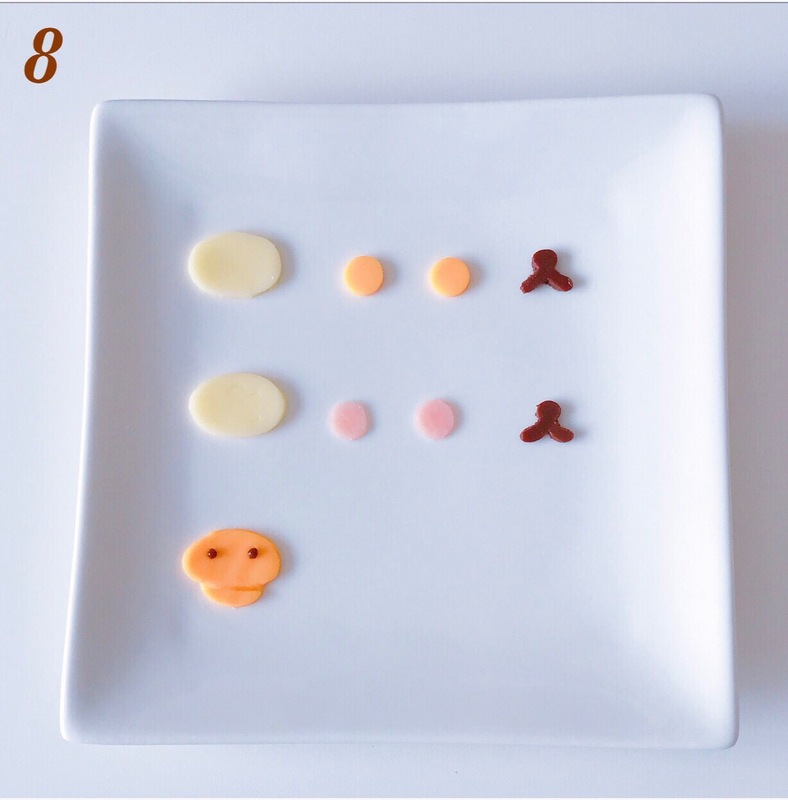 Cut out shapes from the chocolate sheet to form the eyes, nose and mouth. First make a mark on the chocolate sheet using the cookie cutter and then cut the shape out using the end of a toothpick. To make Kiiroi tori’s nose holes, tear off a bit of the chocolate sheet and roll it into a ball shape. 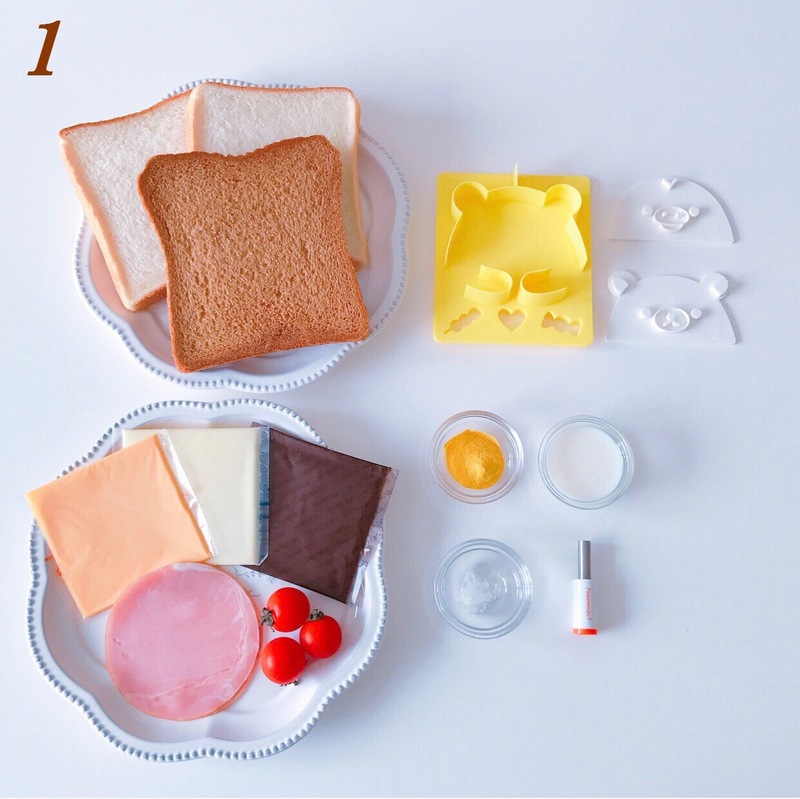 9: Place the parts as shown in the picture using the leftover squash cream and a little bit of mayonnaise. 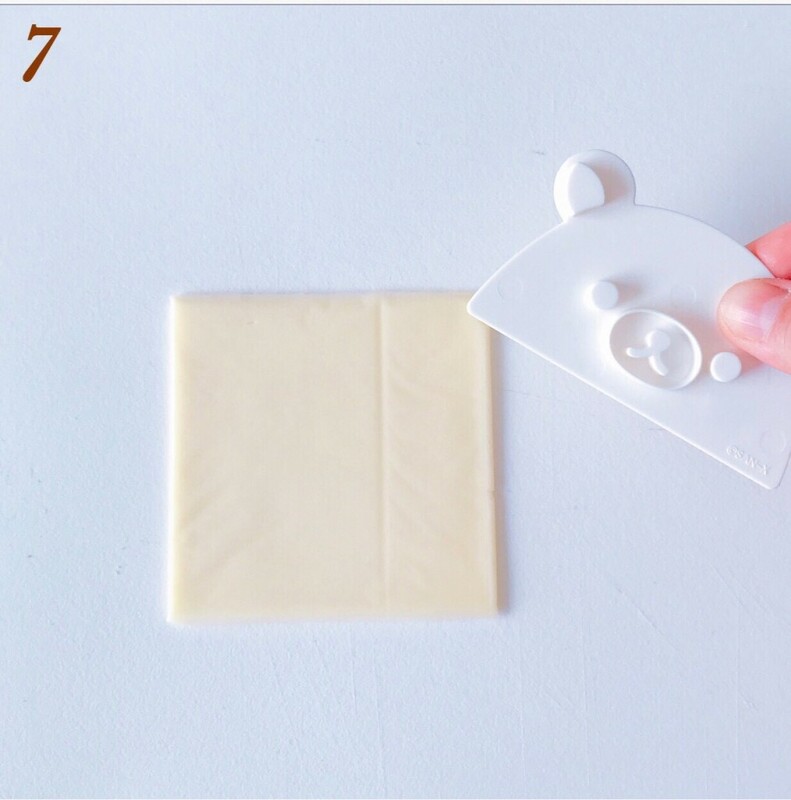 10: Place the sections cut out in step 4 on top of each other. Lean the face on the other parts so as to make the face 3-dimentional. 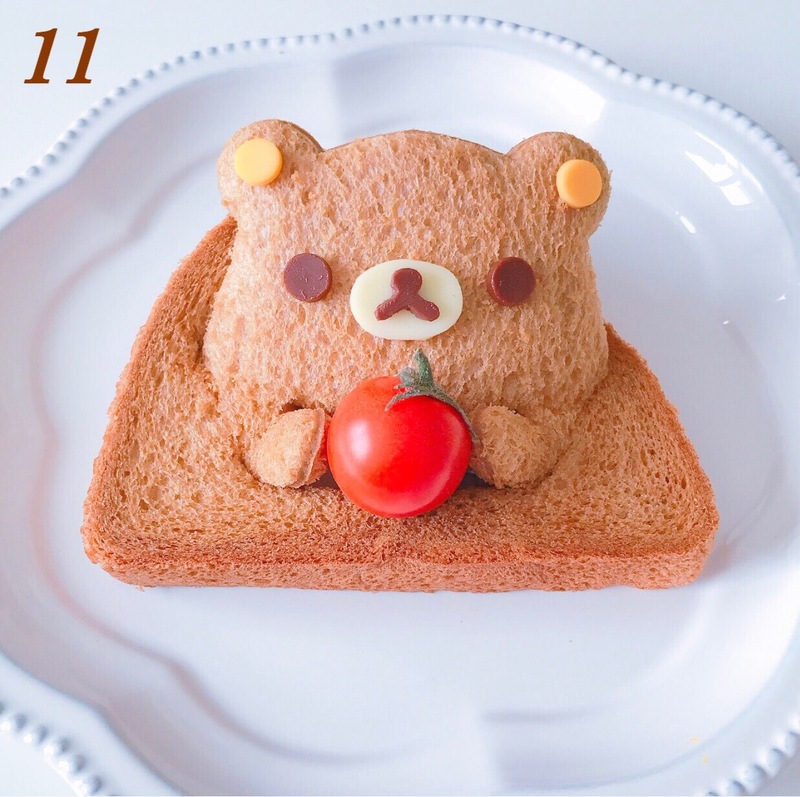 11: Put a mini tomato between the hands so it looks like they are carrying the tomato. 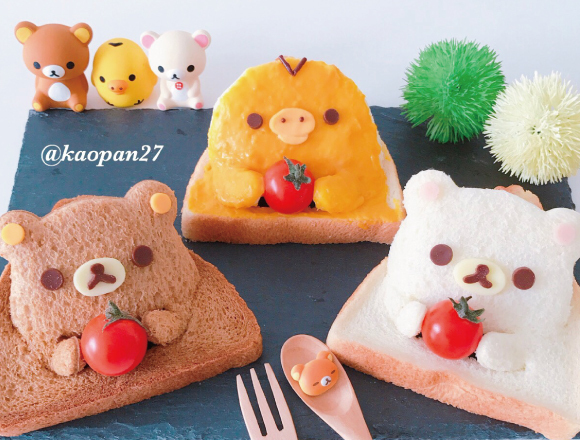 Many types of “Mascot gohan” dishes will be introduced in Kaori’s column. 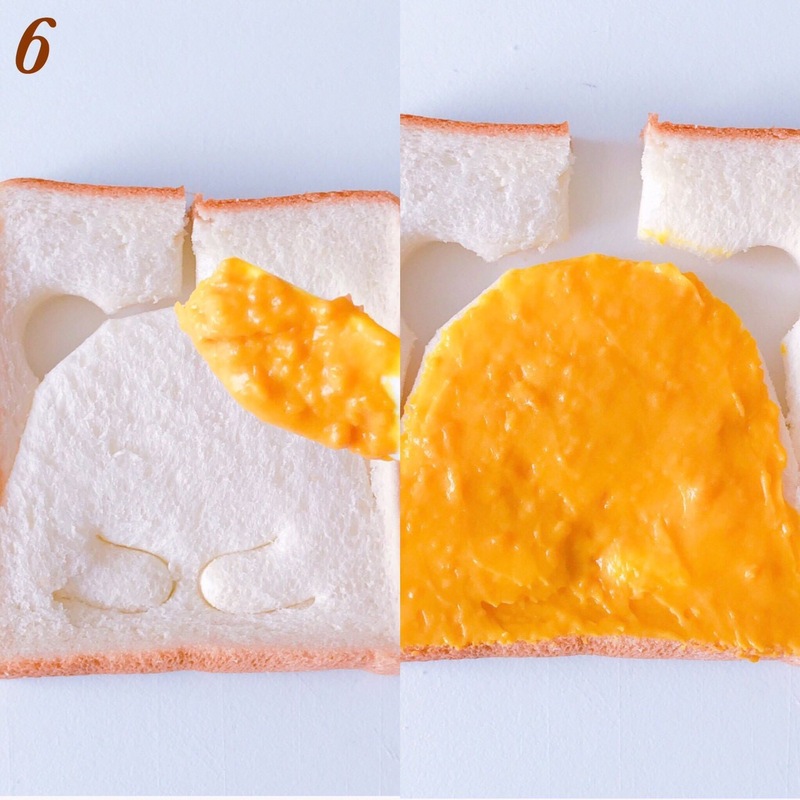 Let’s check her Instagram too since it introduces many of her “Mascot gohan” dishes. Kaori lives in Hokkaido and enjoys making dinners, sweet treats and character food using bread so as to make her family members smile. 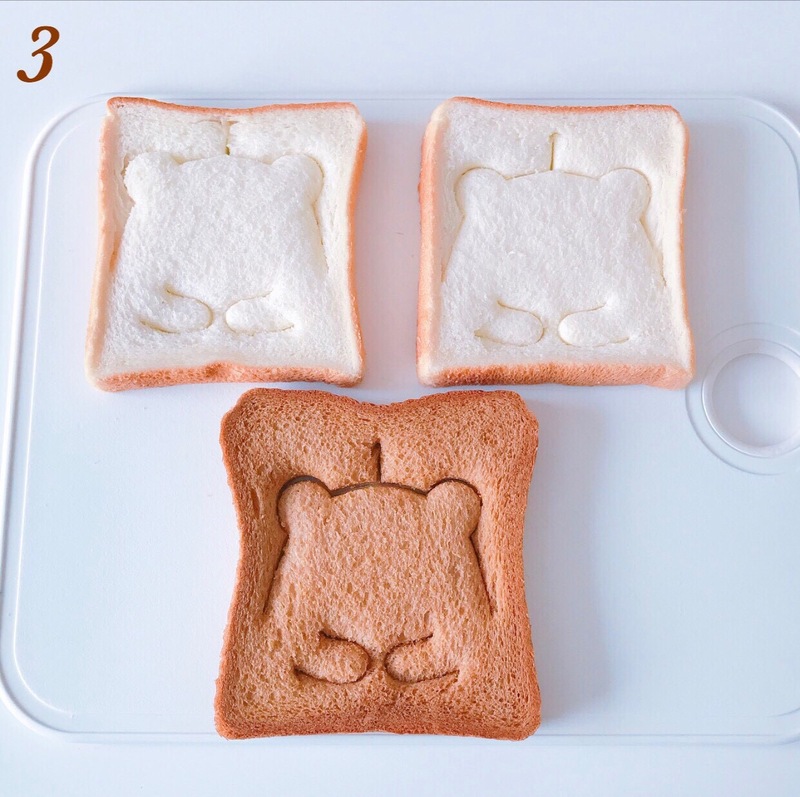 Kaori also loves to experiment with small tricks to create easy character-themed sweets.